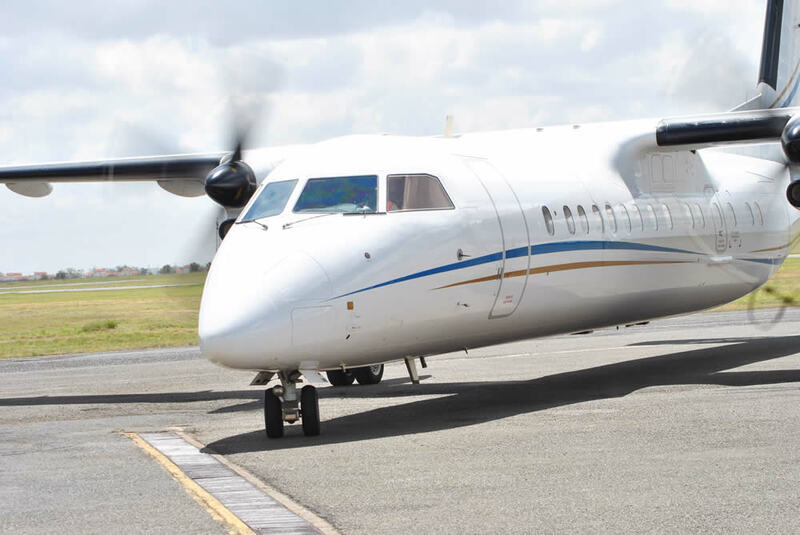 Aircraft well suited to the "bush" airstrips that make up the majority of the destinations served by the airline and the ability to cope with the very short flight time between many of the airstrips served by the scheduled services. 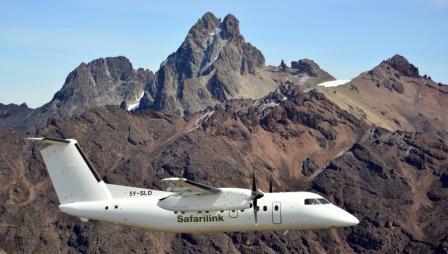 A range of seat capacities that enable economic operations on both 'thin' and 'fat' scheduled service routes and the flexibility to provide charter flights for both large and small groups. 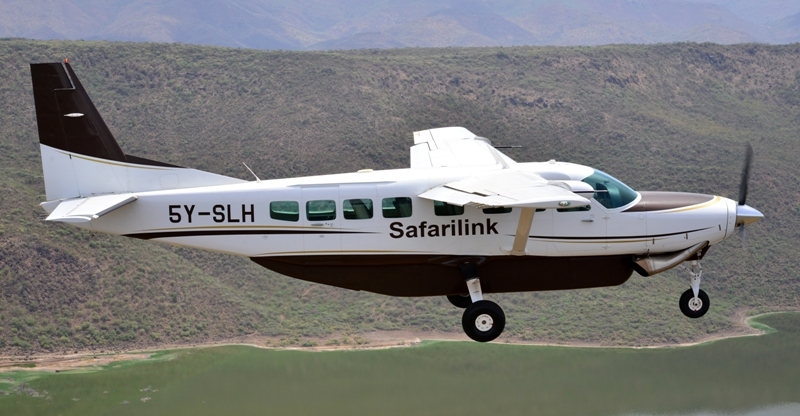 This workhorse of the fleet is a rugged fixed under-carriage aircraft that is ideal for landing on the 'dirt' airstrips common in the game parks. Its high wings and large windows allow exceptional viewing of the unfolding scenery and animals whilst on-route. The aircraft is powered by a Pratt & Whitney PT6-114A turbo-prop engine. This Pratt & Whitney 120A powered aircraft is well known to commuter travelers around the world. Its pressurized cabin enables it to fly above the weather on the longer routes and its all leather seats provide a touch of luxury. This twin-engine aircraft, manufactured by Bombardier (formerly Dehavilland, Canada) can carry a maximum of 52 passengers, two pilots and two flight attendants .